Do you need tips on how to file your federal taxes in Portland, Oregon? CCCU wants to help you file error free Oregon State tax returns. Learn everything you need to know about filing your taxes in Portland, Oregon, including the arts tax and how to file a tax extension. It’s that time of year again: tax season. Unless you’re an accountant or a math wiz, you probably aren't looking forward to filing your taxes. But filing in Oregon doesn't need to be a major headache as long as you’re prepared and know what to expect based on where you live. Are you a Portlander and wondering how to file your taxes? 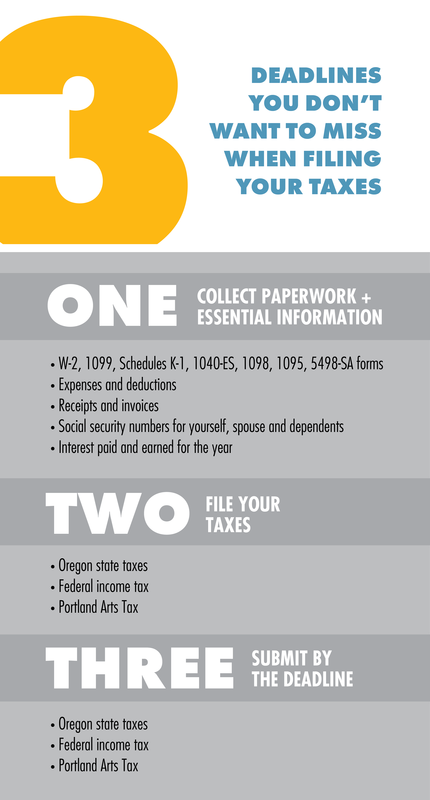 Here’s everything you need to know about filing taxes in Portland, Oregon. No matter what state you live in, the first step to filing your annual taxes in Oregon is by preparing all of your paperwork, files, and spreadsheets. 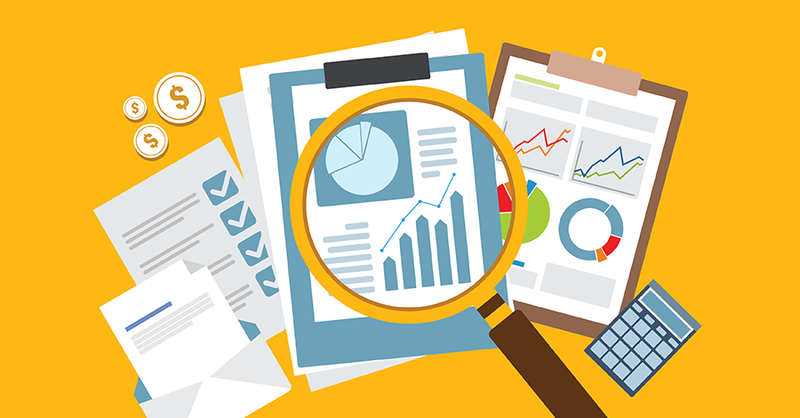 The exact items and information you’ll need to gather will depend on a number of factors. These include the type of job you have, whether you rent or own your home, if you own a business, have any dependents, your tax deductions, and whether you have any additional sources of income. You’ll want to collect all necessary forms (such as W-2 and 1099 forms) and make sure all your expenses and tax deductions are organized and easily accessible. If your income and deductions are relatively simple, you can easily file your taxes online without much assistance. However, if you anticipate that your taxes will be a bit more complicated this year, you may want to hire a professional to file them for you. When you file your income taxes, you can take a standard deduction or choose to itemize your deductions. Knowing which tax credits and deductions you’re eligible to write off will get you the largest tax return, or prevent you from owing money to the IRS. Get to know the available credits for your Oregon tax return to determine whether a standard or itemized deduction will be the most beneficial to you. As an Oregon resident, you may also need to pay additional taxes such as business taxes, occupancy taxes, and property taxes. As a Portland resident, you are required to pay an annual Arts Tax. Because it is a city tax, the Arts Tax is filed separately from your state and federal tax returns and can be paid online or through the mail. The Portland Arts Education and Access Income Tax funds art-focused public school programs and non-profit arts organizations for children in the city. Failure to pay the Arts Tax will result in additional fees. Don’t miss the filing due date for your federal and state taxes. The filing due date for your Oregon tax return and federal tax return is April 15. If you file for an extension, your due date will be pushed to October 15. If you miss your filing deadline for your Oregon state taxes, a 20 percent late-filing penalty will be added. If you miss the federal deadline, a penalty fee between five and 25 percent will be added. If you know you won’t be able to file your taxes by April 15, be sure request an extension with the state of Oregon as soon as possible. That covers the basics on what you need to know about filing your taxes in Portland, Oregon. Now that you know how to prepare your taxes, file your income taxes, deduct specific Oregon tax credits, and pay the Arts Tax, you just need to make sure you file your taxes by April 15. Feel free to reach out to CCCU any time if you have additional questions about your taxes. We’re here to help.